Typical beach tents and umbrellas are heavy and hard to assemble (especially when you’re simultaneously chasing around your busy baby). 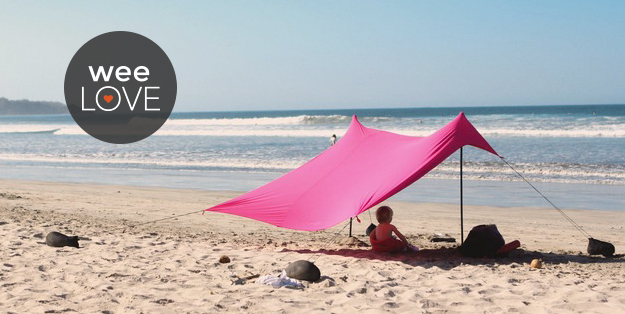 Now, there’s an easier way to stake your spot at the shore and protect your family from the sun’s harsh rays. Created by an engineer and new dad, Neso Tents are lightweight, easy to install sunshades that provide coverage for 4-5 people. Simply fill four sandbag anchors with rocks or sand. Then attach the canopy to the poles for the best shade out there. Tote it back and forth in its own carrying bag. Even better, they pack small enough to fit in a carry-on. 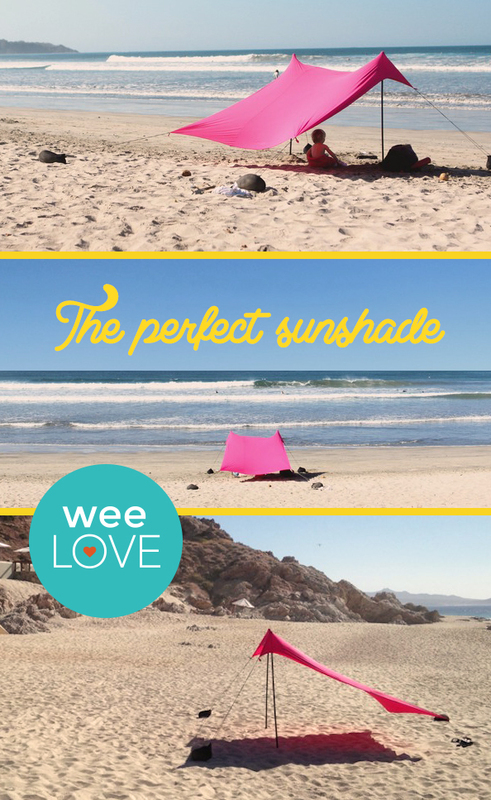 Snag one fast so you can spend less time battling the breeze and more time enjoying the beach!